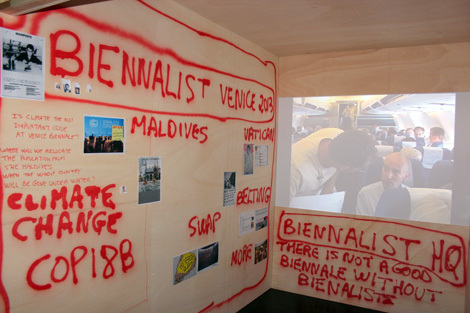 Thierry Geoffroy / Colonel / The Biennalist activates the HQ format (pre art works for Venice Biennale 2013 , with focus on climate change @Maldives Pavilion / Istanbul Biennale / COP 19 / next documenta / transmediale). Visit the Biennalist HQ. ← Is climate change an emergency?